Should you wish to be included on our Puppy Waiting List or for a puppy from our current litter, you are welcome to submit a completed Puppy Questionnaire by clicking here. We are very particular about where our puppies are placed so be prepared to answer a lot of questions. "Let's not measure a Breeders success by the amount of winning their dogs do in the show ring, but by the number of dogs that stay with the family that purchased them as a pup and that die in the arms of that same family 14 years later. In that case, we have three winners: the Breeder, the Family and most importantly, the Dog"
"I find it so hard to understand why people want to get the cheapest dog they can find rather than one that has been carefully selected for them. When I was looking for my Havanese, I looked at every Breeders website, I read every page and tried to get a real feel about the Breeder. I wasn't interested in someone who had the longest list of prize winning animals - that is absolutely no guarantee the Breeder loves and cares about each and every animal they breed, show and sell. I wanted someone who put the welfare of their dogs & puppies first, someone who would make me fill in a questionnaire like you did. If there wasn't a questionnaire they were struck off my list. Price didn't even come into the equation. I think that lots of people regard getting a pet as a purely commercial transaction. They see it as their right to buy animal not as a privilege to take responsibility for the happiness & well being of an animal." Are you purchasing from a Registered Breeder who breeds from ANKC or MDBA Main Registered parents or are you purchasing from a Puppy Farmer/Back Yard person who breeds whatever dogs they can get their hands on? 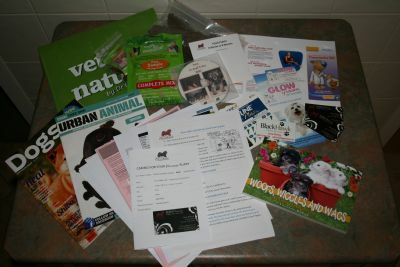 Unless your Breeder can show you MAIN Registration papers with ANKC (Australian National Kennel Council) or MDBA (Master Dog Breeders & Associates) for their breeding dogs you are probably buying from a Puppy Farmer/Back Yard Breeder. Pedigree Papers from anywhere else does not guarantee you are buying from a registered ANKC or MDBA Breeder. DON'T DO IT FOR THE SAKE OF YOUR DOG, YOUR POCKET AND YOUR FAMILY. With the Havanese you never really know what colours the puppies are going to be when adults so it is always a wonderful surprise to watch them grow.